When I first arrived in Richmond, Va, in 1962 – straight from Montevideo, Uruguay, where I grew up – my first Shabbos on American shores, my parents and I attended a big kiddush in our new shul. Alongside the standard kugel, chulent, pastries and spirits, I got my first taste of a very delicious dark red liqueur with a strong, not overly sweet, black cherry flavor. It was love at first sip for me and Cherry Heering! Through the years, whether in Richmond, NY, Detroit, Eretz Yisroel, or wherever life’s path took me, there was always that familiar, delicious bottle of Cherry Heering calling my name at every kiddush, every simcha, every family get together. Like an old friend, seeing Cherry Heering among the liqueurs adorning the table, brings back warm memories and great moments of my past. At each son’s bar mitzva Cherry Heering was there, a guest tmidi – a constant complement to our simchas, warming hearts, with its distinct familiar cherry flavor, admittedly the cordial of initiation to each of my three sons. Fill a shaker with ice. Add ingredients, shake well and serve in a rocks glass. Garnish with a lemon slice and a cherry. 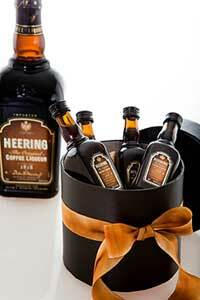 Pour Cherry Heering liqueur and champagne into a champagne flute and serve ice cold. 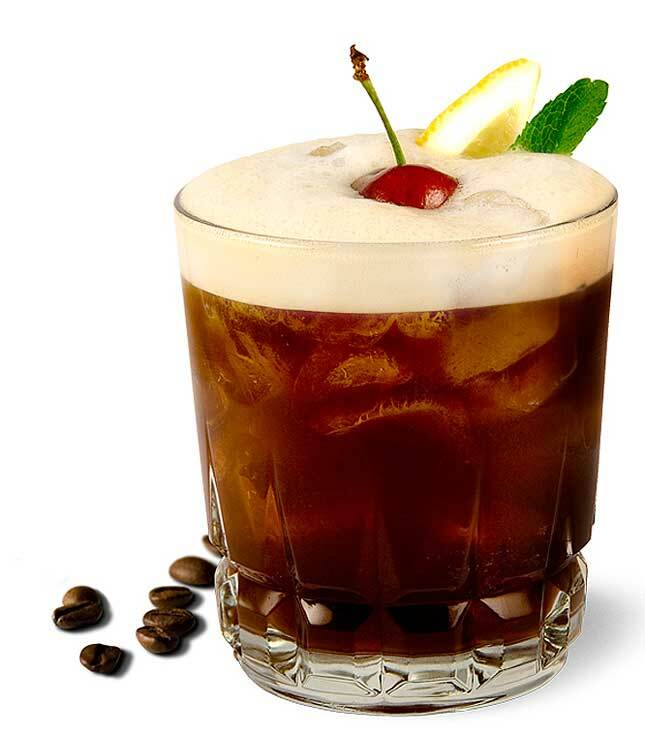 Shake Cherry Heering and lemon juice over ice and pour into a highball glass with 2 ice cubes in it. Ad carbonated water and a cherry. I just picked a few bottles (full size and mini size for the mishloach manot on Purim) of each Peter Heering flavor at Liquors Galore (1212 Avenue J in Brooklyn 11230) but it’s also available all over. 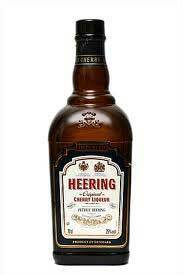 Do you have any memories of Cherry Heering? Why not share with us? Meanwhile, enjoy, gentle reader, enjoy!